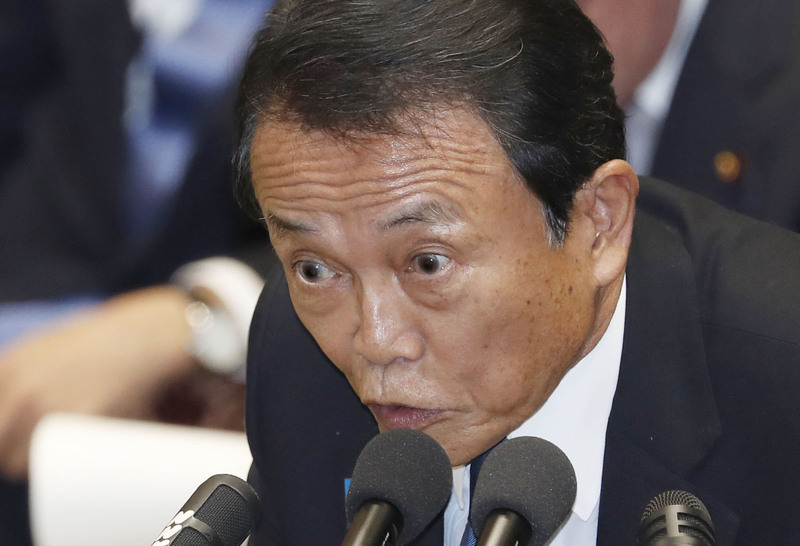 Finance Minister Taro Aso pledged Monday to ensure that an upcoming tax hike does not hurt the economy by causing household spending to plummet. “We will use every policy tool at our disposal to make sure that the economy remains on a recovery track,” Aso said in a speech on the first day of this year’s ordinary Diet session. He asked his fellow lawmakers for swift passage of the proposed budget for fiscal 2019, which features a ¥2 trillion stimulus package to underpin demand after the consumption tax is raised to 10 percent from 8 percent on Oct. 1. The measures include a rebate program meant to encourage consumers to shop at small businesses using cashless payment methods such as credit cards as well as using shopping vouchers made available to households with small children or low incomes. The stimulus package also aims to ramp up spending on infrastructure projects. Prime Minister Shinzo Abe’s government is likewise seeking to implement measures that increase tax cuts for people who purchase homes and new cars. 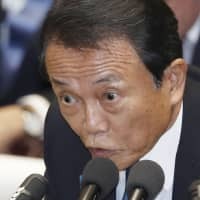 Aso promised to work toward improving Japan’s battered fiscal health by cutting unnecessary spending and reducing government debt, which is more than twice the size of the nation’s gross domestic product. In a separate speech, Toshimitsu Motegi, minister for economic and fiscal policy, noted that six years after Abe’s return to power, nominal GDP has grown to a record ¥550 trillion as corporate profits scaled new heights and unemployment fell to the lowest level in 25 years. But he warned that risks could come from abroad in the form of heightened trade tensions, sparked by U.S. President Donald Trump’s raising of tariffs under his “America First” agenda. “As protectionism spreads across the world, Japan must be a leader in defending the system of free trade,” Motegi said. Developments in trade policy will be significant for Japan in 2019. The TPP entered into force in December, with 11 members following the exit of the U.S., and another free trade agreement with the European Union is set to come into effect in February, deals Motegi touted as the “new engines” for growth in the economy. Japan will also begin bilateral trade negotiations with the U.S., which is seeking to open up Japan’s protected agriculture market and bar competitive currency devaluations in a bid to reduce its trade deficit. Motegi vowed to improve Japan’s fiscal position so it can achieve its target of a primary balance surplus by fiscal 2025, though even its own optimistic forecasts show it is currently tracking toward a deficit of ¥2.4 trillion for that year. A primary balance surplus means that tax revenue is more than sufficient to cover government spending on everything but interest payments on public debt.